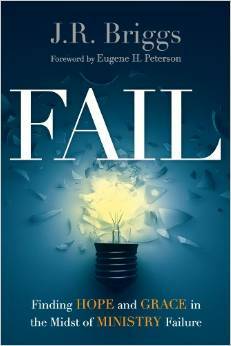 Christianity Today magazine recently featured an interview with J. R. Briggs, author of FAIL, a book about failure and struggles in the ministry. Here’s the interview. So much press is about the superstar pastor, the celebrity clergy, that the work of 99% of pastors never gets much press. I’m sure this is OK, undoubtedly God’s plan and purpose, but we need an occasional reminder that this is the way God intends for His kingdom work to get done. Briggs is giving voice to what many of us need to hear.